Police Commissioner Singh confirmed that two aspects - how Gurdeep took his pistol home and was the district police department aware about his psychiatric treatment - will be ascertained during the probe. Gurdeep’s mother Sameer Kaur had submitted his psychiatric treatment documents to Ambala police stating that he was a patient since 2011. A day after Assistant Sub-inspector (ASI) Gurdeep Singh shot his wife from close range and later killed himself with his service weapon at Nasrauli village in Ambala on Monday afternoon, Panchkula Police Commissioner Saurabh Singh marked a probe to DCP Kamaldeep Goel to find out the circumstances, in which he was allowed to take his 9mm pistol to his house after duty. His duty ended at 8 am on Monday. The DCP will also probe whether the Panchkula Police department was aware about the psychiatric treatment of ASI Singh or not. Gurdeep’s mother Sameer Kaur had submitted his psychiatric treatment documents to Ambala police stating that he was a patient since 2011. Police Commissioner Singh confirmed that two aspects – how Gurdeep took his pistol home and was the district police department aware about his psychiatric treatment – will be ascertained during the probe. A police officer said any personnel is not allowed to take away his/her service weapon home after duty. “Gurdeep was supposed to submit his pistol either in the armory of the district police or at Sector 5 police station, where he was deputed on PCR duty. Gurdeep’s service record shows he had been posted in Panchkula since 1999. Then, he was a head constable. In 2000, he was one of the gunman of the then superintendent of police (SP). Later, he was attached with traffic police in Barwala police post, Raipurrani police station, in security wing etc. He was appointed as in-charge of Police Control Room-7 in September 2018,” said the officer. 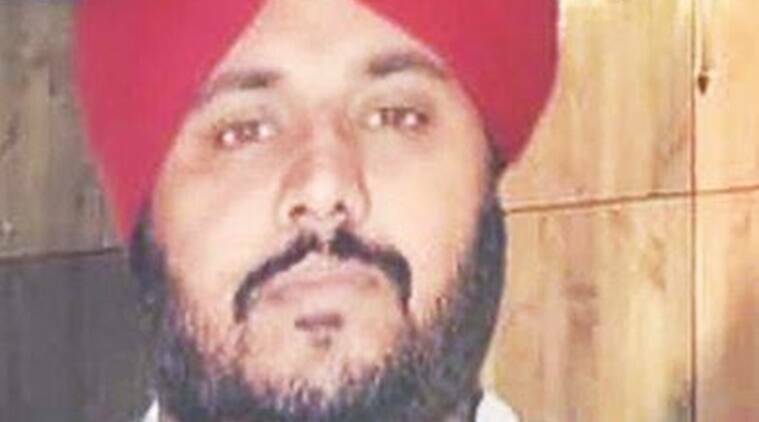 ASI Mukesh Kumar, in-charge of police post-21, with which the PCR-7 of Gurdeep was attached, said he was a reserved man. “Gurdeep did not interact with anybody much.” Goel said, “We have a provision of conducting regular health check-up of all the police personnel throughout Haryana. But, this does not include psychiatric check-up.” The bodies of Gurdeep and his wife Surinder Kaur were cremated after post-mortem examination, at their native village in Ambala Tuesday.